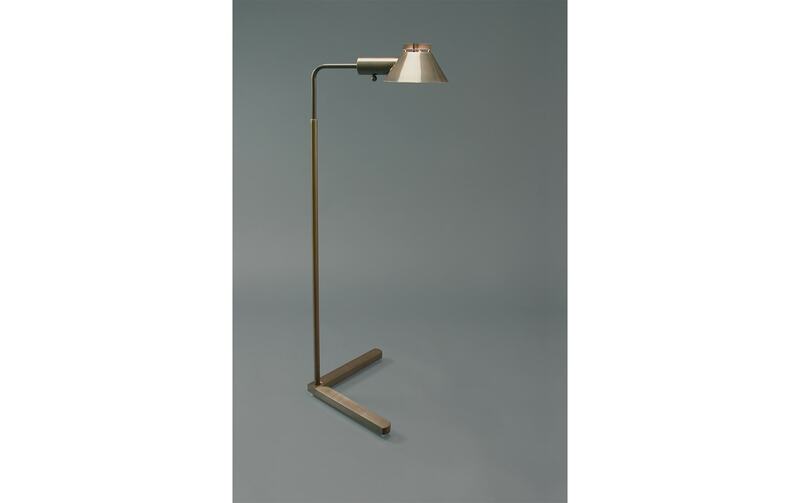 A stunning piece of contemporary lighting design, the Pharmacy Floor Lamp is composed of understated lines and completed with a vintage inspired shade. Experience a comprehensive spectrum of light with a full range electronic dimmer. 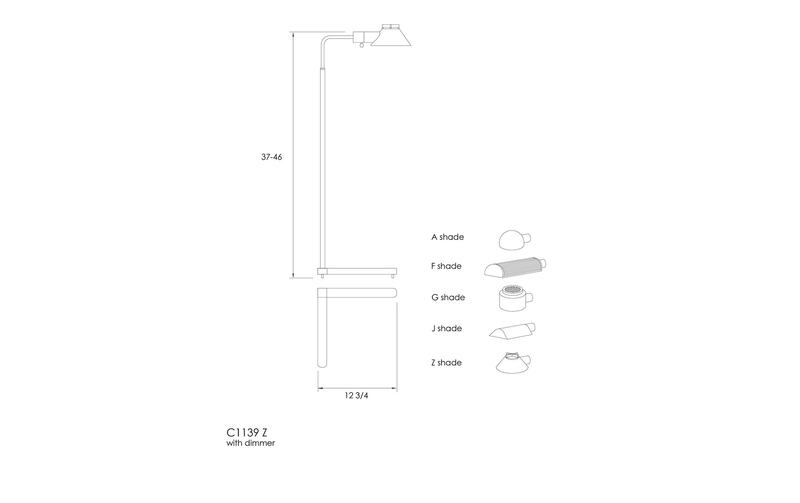 The height can be adjusted from 37″ to 46″ and features a 180° revolving arm and a 360° rotating head. Created by Casella Lighting, a lighting specialist with a heritage of excellence spanning over 75 years. Each lamp is made to order in a range of over twenty metallic finishes including Rustic Bronze, Antique Pewter and Polished Brass.